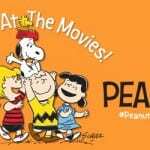 In news that’s sure to polarize the entire animation community, 20th Century Fox has announced at CinemaCon that the long rumored, hotly anticipated Peanuts animated film will be a 3D CGI feature. At CinemaCon, Fox chairman Jim Gianopulos told the crowd, “This will forever change the face of animation”, revealing the first image of a CGI Charlie Brown- the iconic cartoon character. “Prepare to have your minds blown,” he added. Fox only recently managed to get their hands on the copyright of the classic Peanuts franchise, which creator Charles Schultz’ family had been reluctant to part with. The upcoming animated film was announced late last year, but we had no clue whether it would be hand drawn or CGI. Now it’s clear that it will indeed be presented in very contemporary CGI. Peanuts is one of the world’s most beloved franchises, with it’s comic strips, TV specials and characters some of animation’s most widely known. It’s Christmas tradition to revisit A Charlie Brown Christmas in many households, while the character Snoopy is one of the most iconic in cartoon history. By making this a CGI feature, Fox is taking a major risk. These are characters that generations have held dear to their hearts over more than four decades. Of course, we reserve judgement until we see a glimpse of the characters in full rendered glory, but one thing’s clear- this could either be very good or very, very bad. We’re hoping for the former. 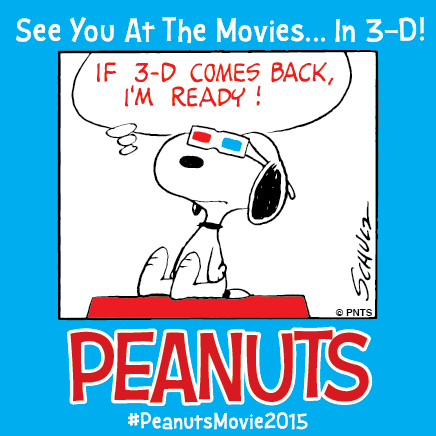 From Blue Sky Studios and Fox, the Peanuts feature will hit theaters in 2015. For the original press release (dated October 9, 2012) click here. Your thoughts on this development? 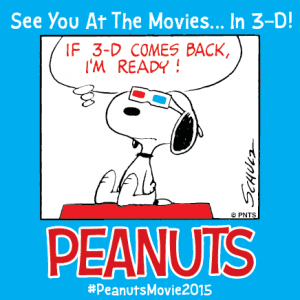 Do you think a CGI Peanuts film will ruin the characters as we know them? Or will it help introduce the gang to a whole new generation? Get commenting!